Dear Customer, our Fine Linen paper is currently out of stock. The paper stock shall reach us in December 2017. Sorry for the inconvenience causes. And in case of urgent use, kindly select for Ivory card. Else, you can only make order for Fine Linen in December 2017 (or until further notice). Sorry and your kind understanding is much appreciate. Do not hesitate to check with our customer service for the availability of Fine Linen. 29/07/2017 : UV Varnish Finishing apply to A4 size and size larger than A4 only for standard product. Dear Customer, please take note that UV varnish finishing cannot be apply to A5 or size smaller than A4 for our standard product. Please request for quotation. Thank you. Dear Customer, please take note that we have only 2'x5' tall instead of 2'x6' tall for white sticker due to material in stock. Dear Customer, please take note that the purple color of our small size eco tote bag may vary compare to last batch. Dear Customer, please take note that the price for some standard banner bunting has been adjusted. Order after 6pm on 28/04/2017 will effectively taking the new price.You are advice to check the paying amount. Dear Customer, you are advice to collect your items especially banner & bunting from us within 10 days from the due date. After the period, we are not responsible for the items being damaged or missing. Dear Customer, our cut off time will be until 9pm (Monday - Friday) instead of 10pm and 1pm (Saturday) starting from 18/09/2016. This is due to our internal management mission as we target for higher accuracy of delivery time and to improve our service in the future. For Digital order and Inkjet order (Banner Bunting) the cut off time is until 6pm (Monday - Friday) & 1pm (Saturday). Please be informed that with effective from 20/10/2014, orders with spot UV finishing covers more than 60% of the artwork surface will be imposed a surcharge of additional 30% over it's selling price. For those items with more than 90% are spot uv finishing covered, we strongly recommend to change the finishing to use gloss lamination. Large suface of spot uv may generate problem such as sticking, longer processing time and poor finishing quality, extra efforts cost are needed. Therefor ACC have to choice but to impose surcharge on these over sized spot uv surface orders. What is Water Based printing? 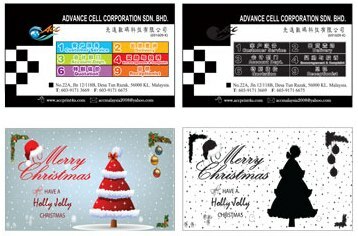 Dear Customer, please be informed that order for 260gsm Art Card comes with extra coating of water based varnished due to our NEW offset printer specification.Please contact our quotation dept / customer service dept if you do not wish to have this extra coating apply for your order. Water based is a special coating comes from the printer itself that the printing result may looks Glossy/Shiny. If your order is for writing purpose, DO NOT CHOOSE for water based options. Please inform us before placing your order. Thank you for your co-operation. Dear Customer, please take note that all orders for pattern art card and pattern matt art card will require 1 week time to be done due to "Gang-Run" printing method effectively on 01/02/2016.Order day (Monday - Friday), items will be ready on the next following Monday.If Monday falls on Public Holiday, item will be ready by Tuesday.For replacement order, item will be ready by next week.For pattern art card,under some circumstances,we will upgrade to pattern matt art card withoutany additional charges. Please bear in mind that no replacement will be entertain in this case. Please take note before placing orders, ACC will not liable to any claim of this issue. 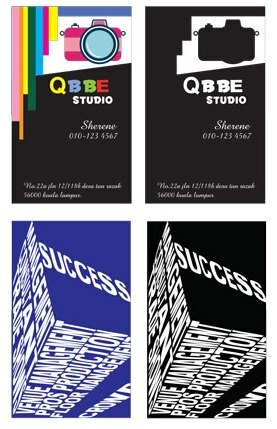 produce all kinds of loose sheet printed documents. "Gang-run" printing is basically grouping customers" orders for a similar product or requirement into 1 print run. By doing this, we are able to provide you with professional full colour printing at a fraction of the cost.Your short-run jobs become more affordable as the initial production cost is now shared by various customers.